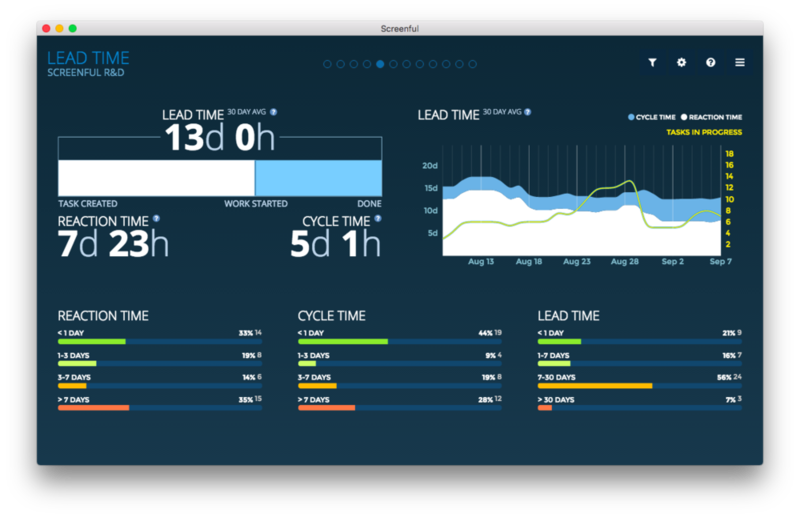 See the current status of your projects as well as longer term trends in a visual dashboard created from your Asana data. Explore and click-through to see individual tasks behind the numbers. Use with any of your devices or rotate on the office TV. 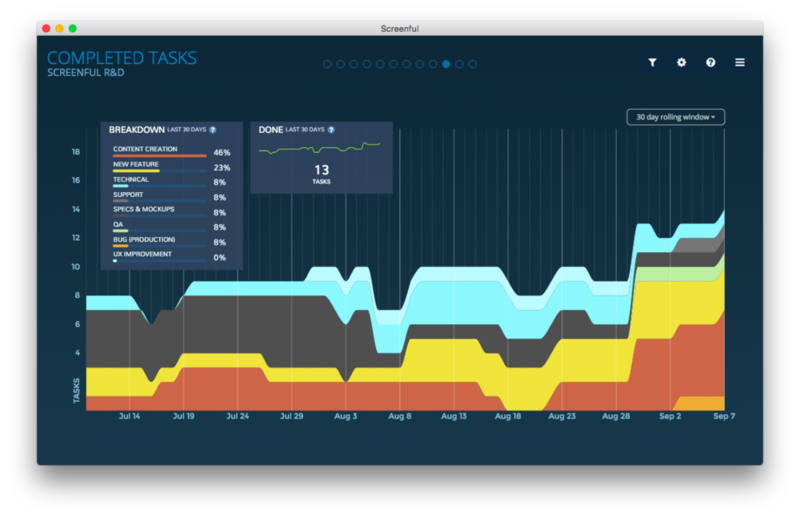 Sometimes it can be hard to stay track of your work if your tasks are scattered over multiple projects. Worry no more, our data aggregation feature allows you to track metrics across multiple projects at once. Didn’t find the information you were looking for? Looking for that specific piece of information that is not captured by any of the default charts? It's time to dig deeper into your data by creating a custom chart. Have those stakeholders that want to see the status of their project/feature/release, but don’t want to log in to Asana? Subscribe them to the weekly digest so you can keep them on the loop without distracting your team. Do I have to use Asana boards or does this also work with list projects? 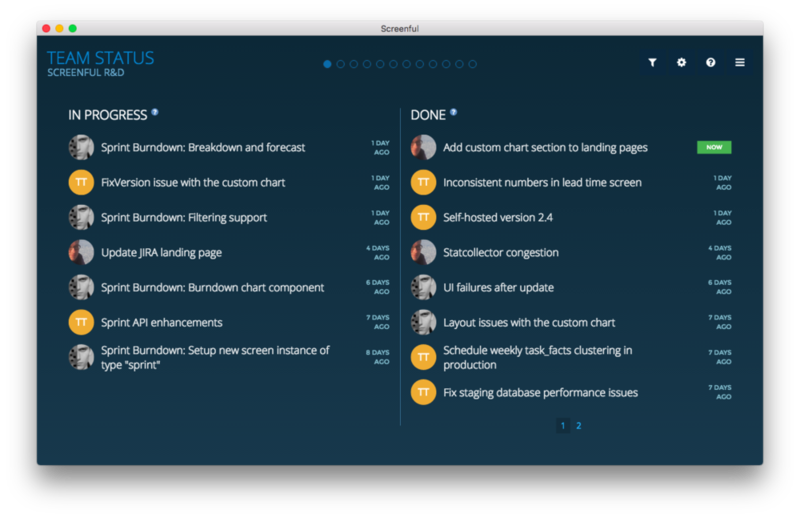 Screenful dashboard can be set up for any Asana project, either board based or list based. 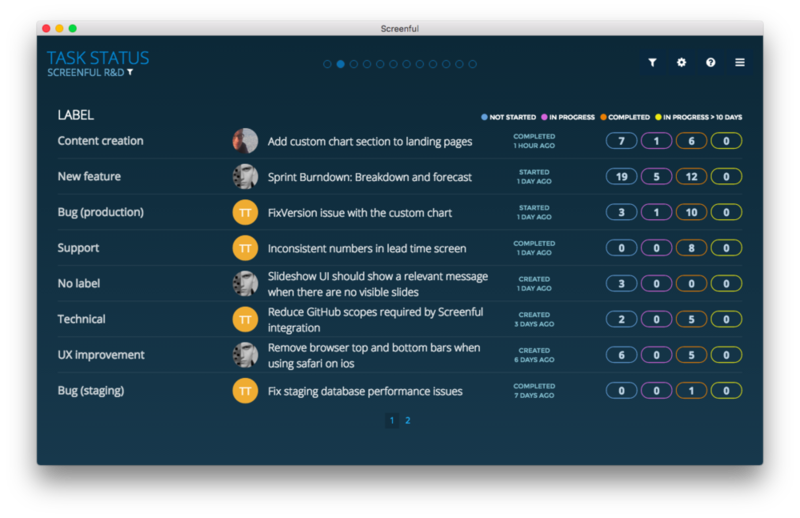 Does Screenful work with the free version of Asana? Yes except that you won’t be able to use data from custom fields or dependencies since those are available only in a paid Asana plan. Timings are based on how tasks move from "Not started" state to "In progress" and finally to "Done" as specified in your workflow mapping. Learn more from the Lead Time FAQ. 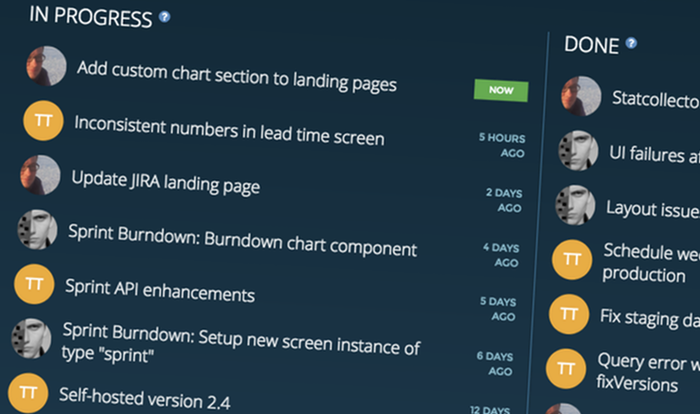 How does your sprint burndown chart work with Asana? Read the blog post about doing sprints in Asana using custom field estimates and the online guide about doing sprints with Asana. Yes. You can use custom fields for entering an estimate to a task. Alternatively, you can insert a number in the parenthesis as a prefix to the task name. Lean more about how to set estimates to your tasks in Asana. The milestone burnup chart takes all the tasks that are assigned to a project, and assumes that to be your backlog. Then it checks your team's velocity and calculates a forecast date when your backlog should be empty if no new tasks are added. Follow these steps to set up the milestone burnup chart, or learn more from the Milestone Burnup FAQ. 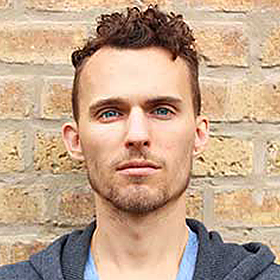 Can I consolidate data from multiple Asana projects into one Screenful dashboard? Yes, you can add more projects in the dashboard settings. Learn how to aggregate data from multiple Asana projects from the Getting Started guide. How do you decide the order of tasks in the Team Status? Is there a way to specify priority in Asana? A task's priority is determined by its location on a list. The card at the top of the list has the highest priority. The Team Status screen shows tasks in that order when 'rank' is selected as a sorting criteria. All screens are updated once an hour. You can trigger update manually by clicking Refresh now at the main menu.